News has been received with the passing of retired Western Airlines pilot Captain Orman Edmond LaVoie, age 92. Captain LaVoie joined Western Airlines 03-19-1951 and was based Denver and Salt Lake City I believe. http://sunsetfuneralhomecemetery.com/runtime.php?SiteId=288834&NavigatorId=1378309 to share online condolences. As we receive more information we will be sure to pass it along. – Orman E. LaVoie, age 92, died early Saturday morning 4/15/17, at Village Health Care Center. Orman is a veteran of World War II. He joined the Army Airforce in June ’44. While stationed in Burma India, he logged 1,000 hours as a flight officer in the ferry command that flew supplies over the Burma Hump (hazardous air route across the Himalaya Mountains). 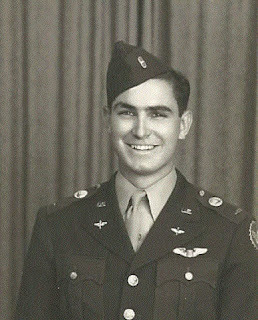 Upon returning from the military, he joined Johnson Flying Service, a contractor for the Forrest Service. In 1951, he joined Western Airlines, and retired from Delta as a captain on a Boeing 707 in 1976. In twenty-five years of service for the airlines, he experienced two bomb threats on board, a lightning bolt through the fuselage, and after sliding down an icy runway, bringing an aircraft to a stop at the edge of a cliff. Orman was an avid skier well into his 70’s and in his spare time, enjoyed building and remodeling homes, building a golf course and building a propane fueled Skybolt. He is pre-deceased by his grandson, Michael and son, Mark. He is survived by 1 sister, 4 children, 4 grandchildren, and 3 great grandchildren. WAL Captain Capt. Orman LaVoie went west this morning at 2 AM in Missoula, Montana. Further information regarding obituary and memorial services to follow later.